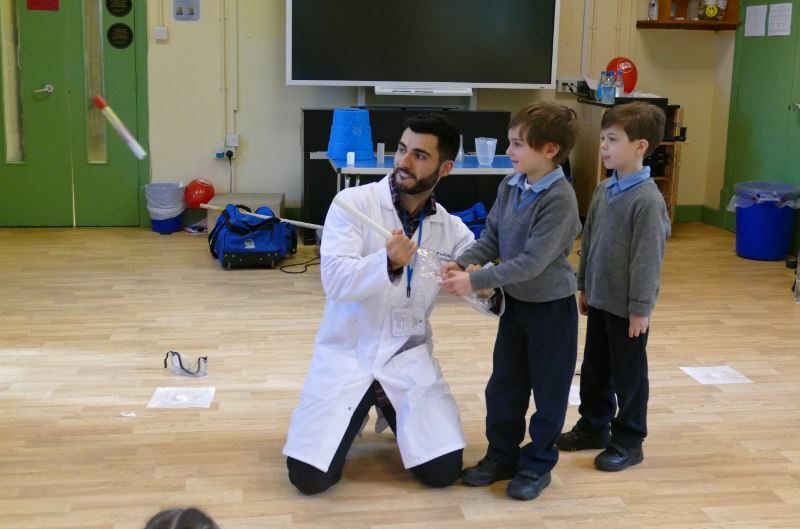 Well what a start to Science fortnight! 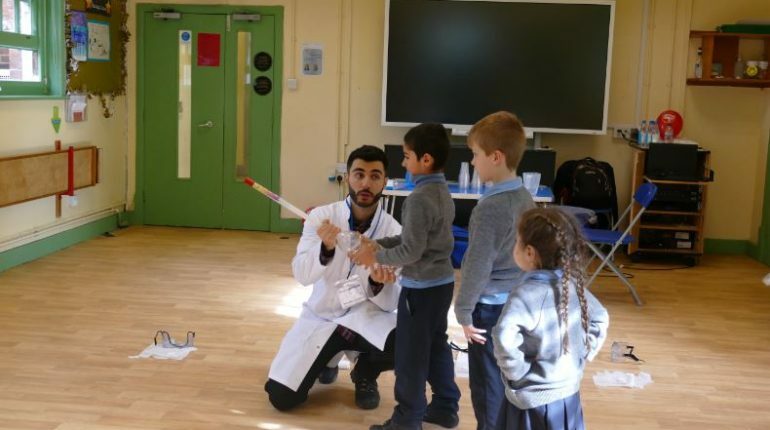 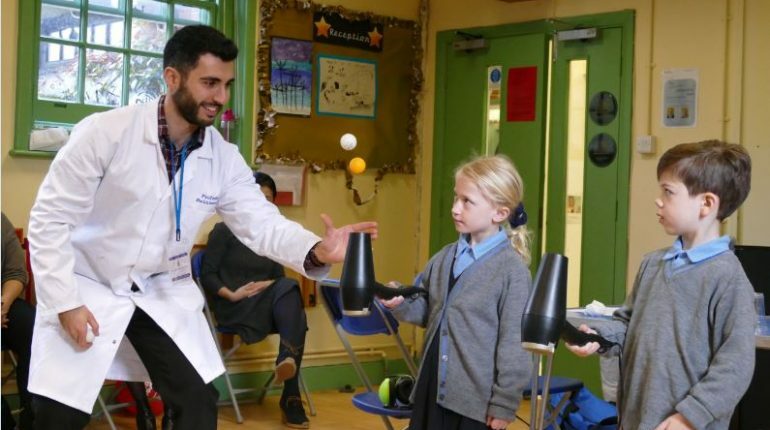 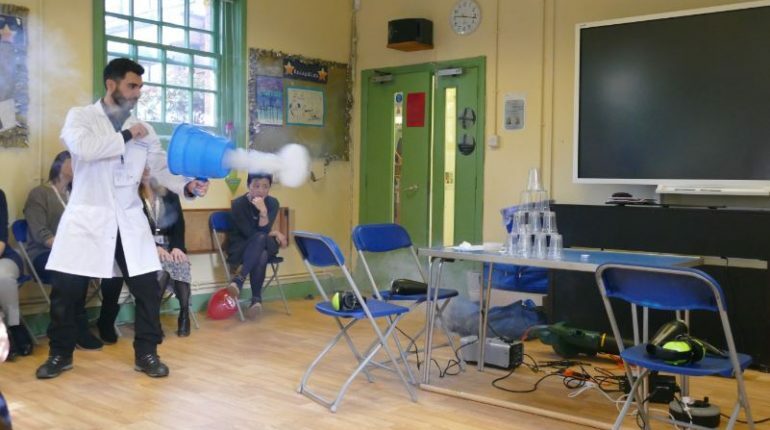 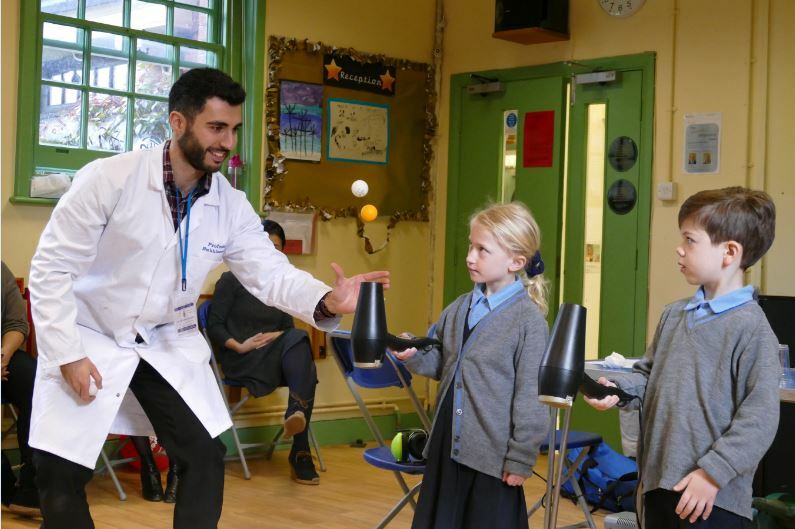 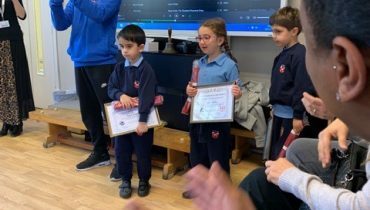 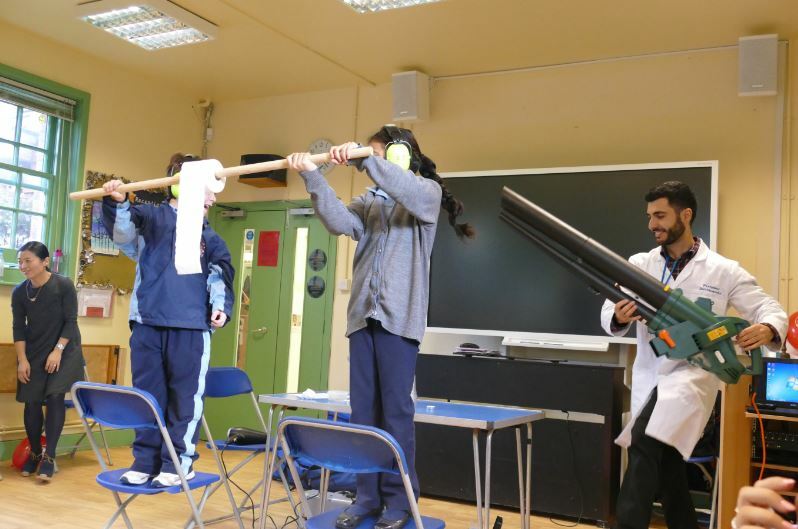 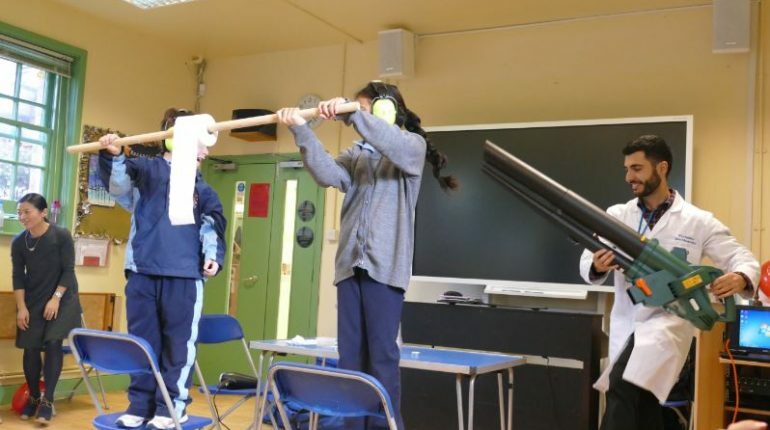 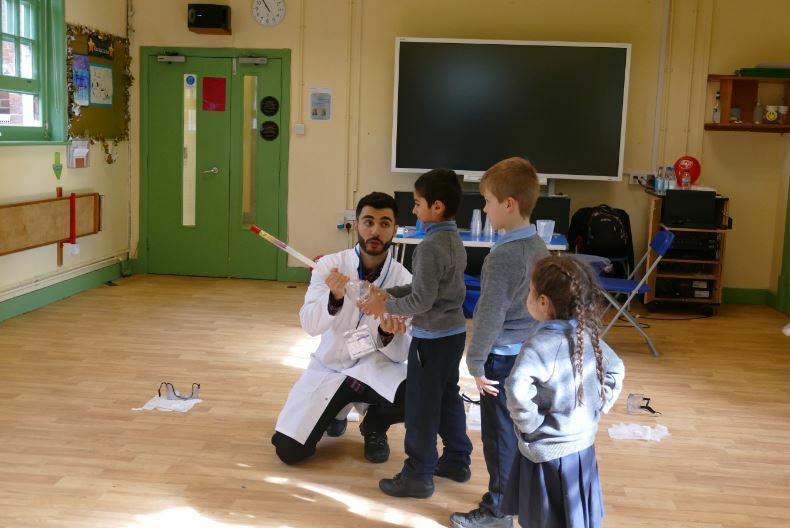 There was a whole school assembly from Professor Bubbleworks to kick start the week with amazing experiments allowing children’s creative minds to wander. 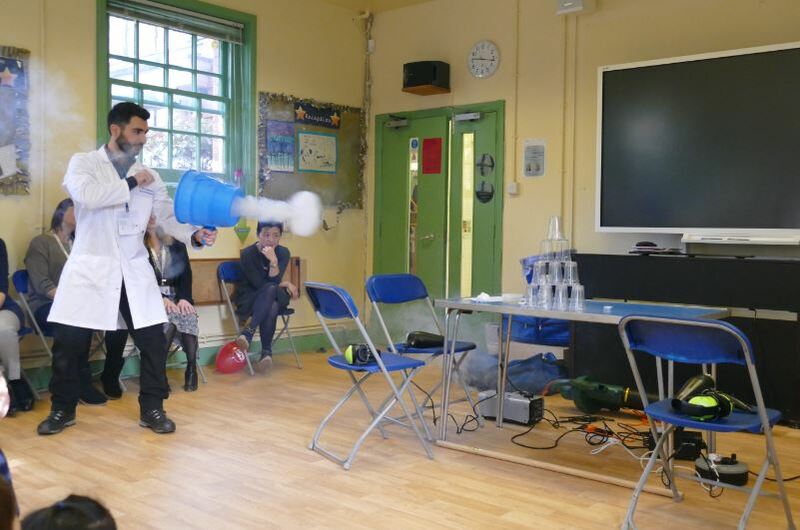 This was followed by individual class workshops again with Professor Bubbleworks. 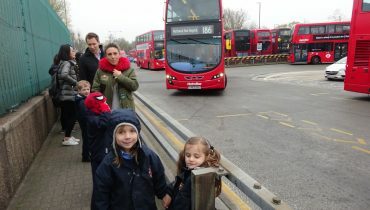 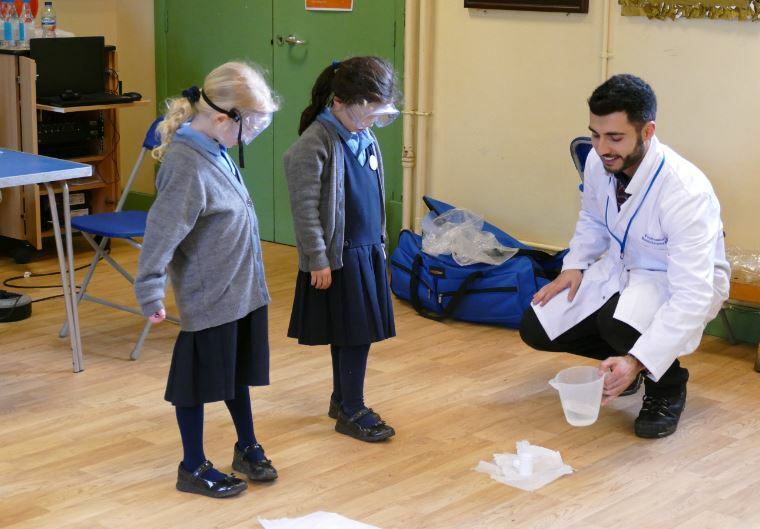 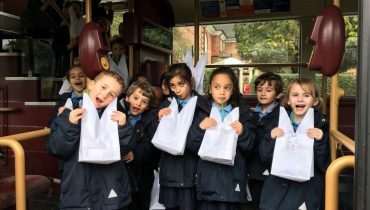 The children had an amazing time and by the end of the workshops they wanted to experience more Science! 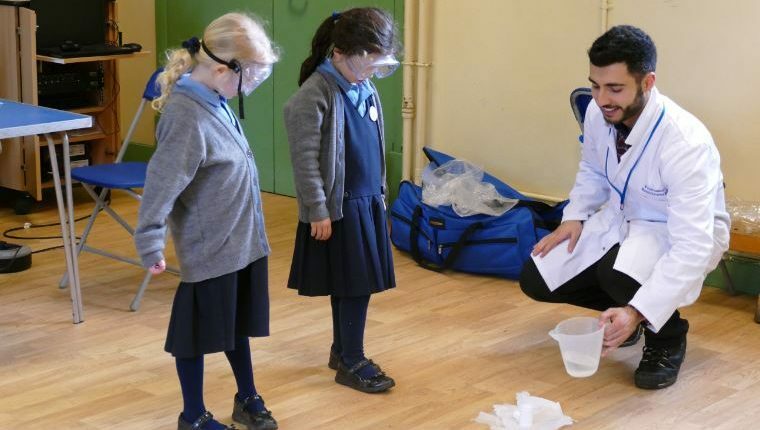 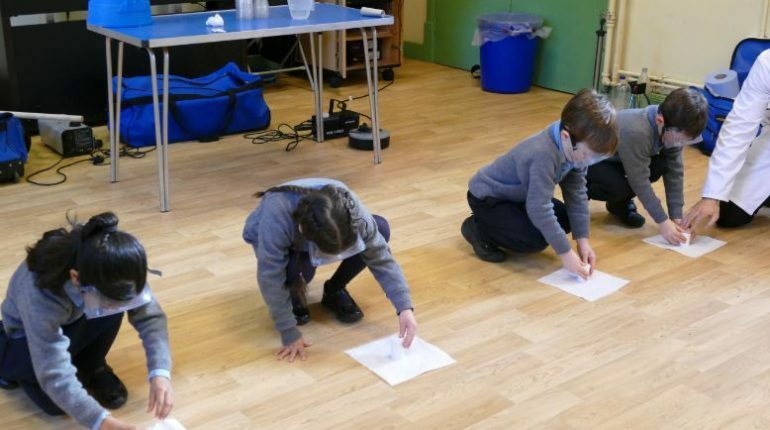 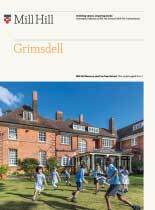 We also had Mill Hill Students come to Grimsdell and work with the Nursery children looking at volcanoes and making volcanic eruptions. 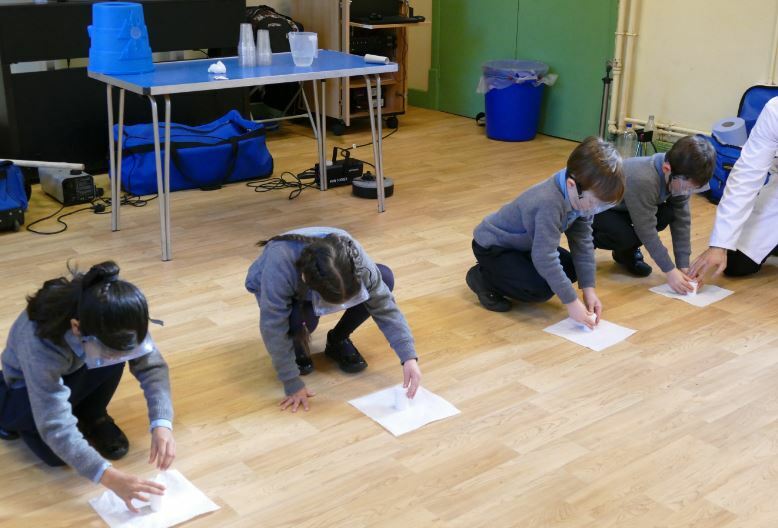 Year One mixed chemicals to make bouncing custard balls! 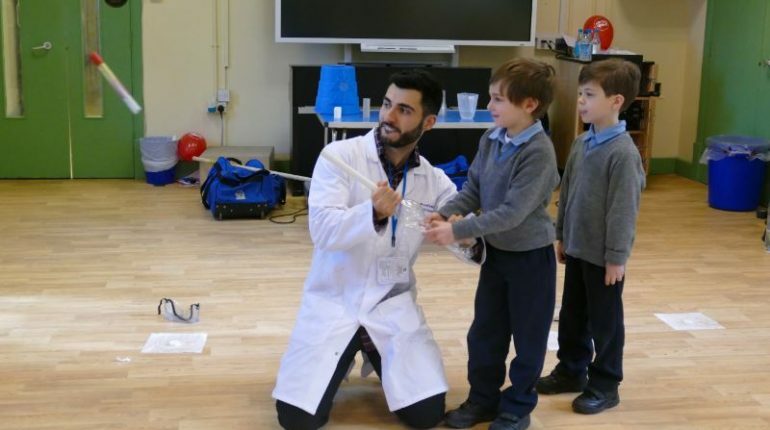 The fun doesn’t stop here watch out for more Science fun next week!